Health Information Technology (HIT) Student Connections received a $2.4 Million Round Four TAACCCT grant award to enhance the instructional quality, student supports, and workforce relevance of the HIT program at Arapahoe Community College (ACC). 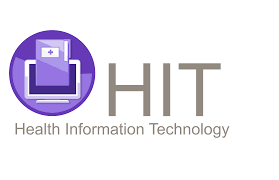 HIT is a nationally accredited program that culminates in a 64-credit associate of applied science degree and is the only accredited program in this field in Colorado that is offered online. The program is designed to be completed in about two years. The program [is] real life not just classroom education. Everything we learned in the courses applies to actual situations in the HIT/HIM [health information management] department setting. Develop stacked and latticed credentials. Update content and online delivery of HIT program. Award college credit in HIT for prior learning.